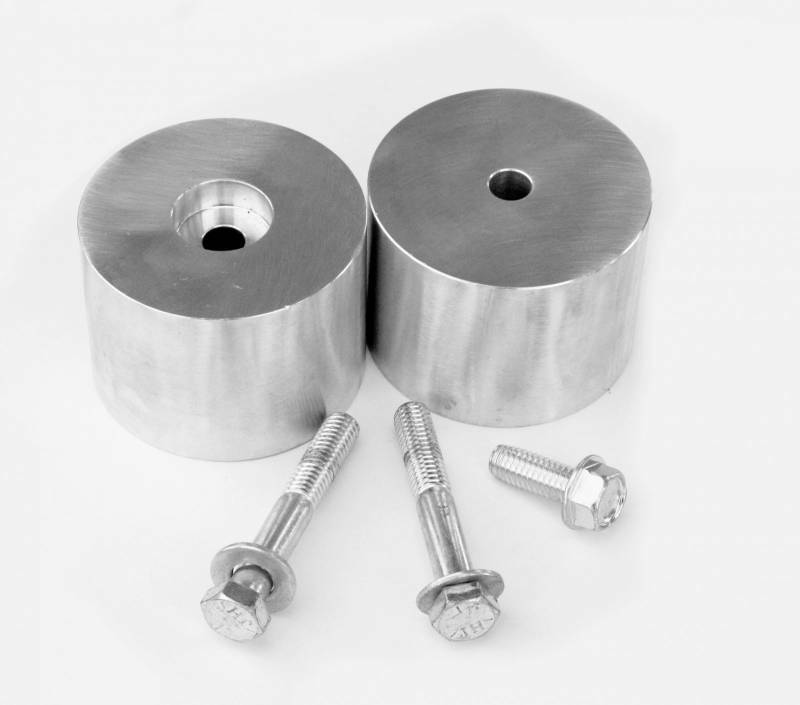 2” Bump Stop Extension Kit is comprised of a pair of 1 pc 2” billet aluminum bump stop spacers and mounting hardware. These spacers are designed to mount on the front coil spring axle mount of Jeep JK, TJ, XJ, MJ and ZJ models. This will also work on the rear of a TJ. The large diameter provides maximum surface area for the best bump stop contact possible. This kit is a nice alternative to the JKS Adjustable Bump Kit for those who don’t plan on modifying their suspension often or need exactly 2” of bump stop spacer for JKS products like the #6200 JK Control Arm Correction Bracket Kit.